We are not working on an update for the srt.phone. Ohh what did you say for any reason hahh so Mr. @Abhishek_TV it means you still don't know what's the actual reasons why the user want to go back to nougat. There's no reason to stay on Oreo all things you know well. However, please do it at your own risk! 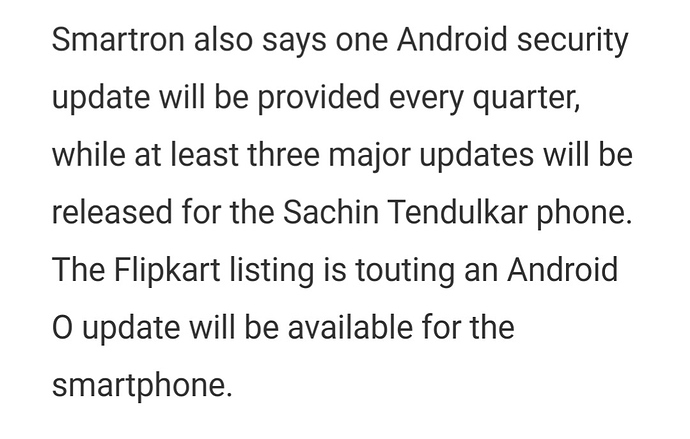 The OS update support is over for the srt.phone, however, there will be Play Store updates for the Smartron services, apps such as tronX launcher etc. What about network and camera issue fix??? @Abhishek_TV , how can you suddenly say we stopped support for SRT, all these days you said we are working on the issue have patience. Anyway in future we don't get monthly security patches as well. Are you kidding me @Abhishek_TV. All this time after the oreo update people have raised bugs and issues and you were replying that you have reported to the product development team, have patience and all. But in reality you guys were just fooling your consumers by literally lying to them and making fake replies. Every person here on this forum has been patient and and supported smartron since day1. But today out of nowhere you come here amd tell us that there will be no further updates for the srt phone. Is this a joke? This is not the way to just leave the customers by lying to them. This is not the way to treat your customers. Since because of the consumers the company runs. I am really disappointed by this sudden decision. 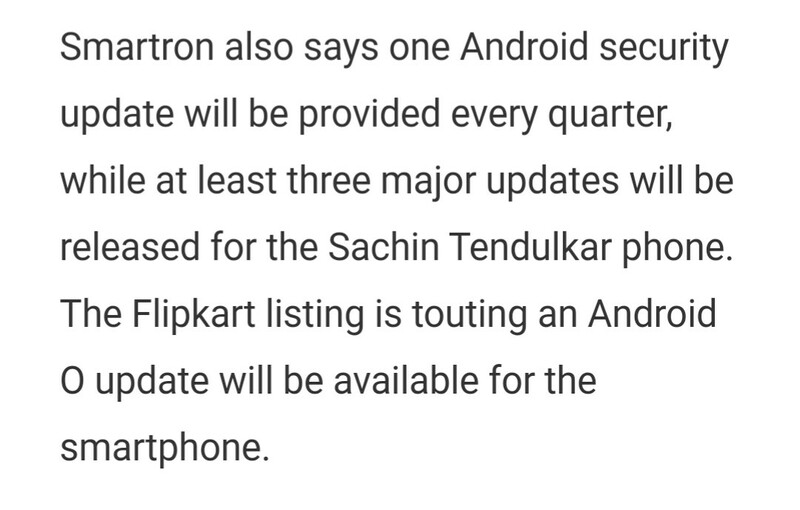 Disappointed in smartron and its team. How much you got for selling srt?? As I am selling it with stable 7.1.2 & warn the user not to update the phone. We lost trust from smartron, not because your software support has ended ( It will happen with every phone ) but because you left us in buggy software and you can't/won't fix it. By the way, sorry to say that, your software was never stable. Thank you. Every company is giving update for 2 Years.